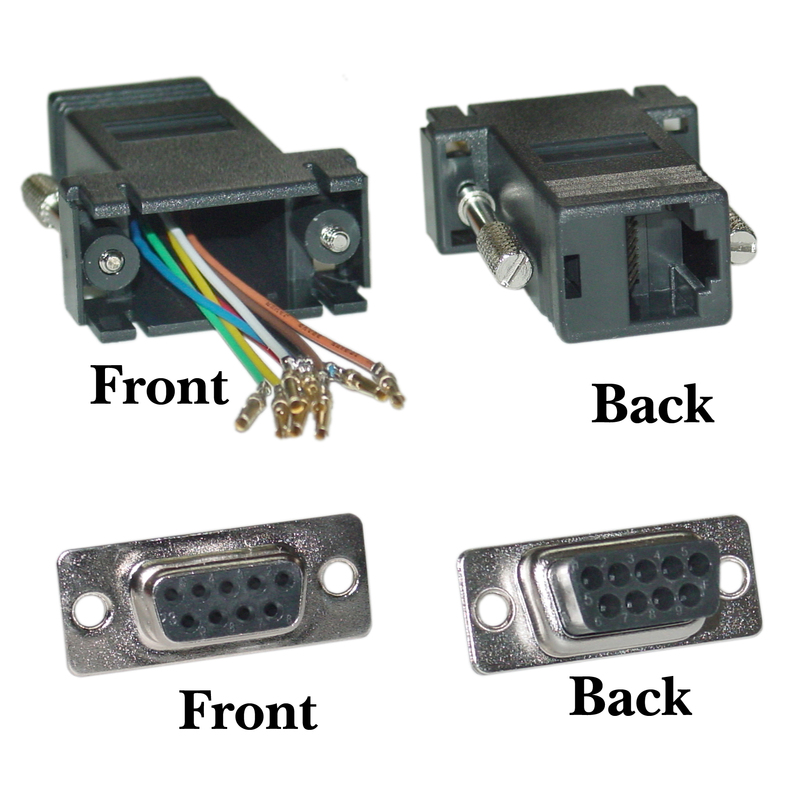 More Product InfoThis black modular adapter converts from a DB9 female to an RJ45 socket. By its very nature the pin outs are user configurable to match any needs you may have. The leads are "flying leads" to provide you with more leeway when inserting the pins. A modular adapter is typically used to traverse log distances over a 8 conductor phone line / network cable. Exactly as described. The only thing that would have helped is to have come with a wiring diagram to know what colored wires go with each pin on the R45 jack. Had to do my own testing to see which wire was which pin. Otherwise it worked great to make a custom adapter.